Control port sends a high of more than 10us then wait for the high output at the receiving port.Once there being output can open the timer timing,when the port goes low timer value can be read,this is for the distance of time,can calculate the distance.Uninterrupted period measurement, mobile measurement value can be obtained. 3.If there is signals returning, through outputting high level and the time of high level continuing is the time of that from the ultrasonic transmitting to receiving. 4.Test distance = (high level time * sound velocity (340M/S) / 2. 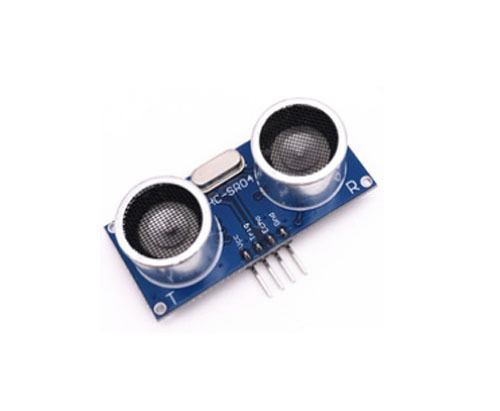 Looking for ideal HC-SR04 Ultrasonic Sensor Manufacturer & supplier ? We have a wide selection at great prices to help you get creative. All the Water Level Ultrasonic Sensor are quality guaranteed. We are China Origin Factory of Aluminum 40khz Sendor. If you have any question, please feel free to contact us.